As the economy picks up and your business is expanding, it may be worth considering employing new staff on a part-time basis. Maybe you need more help but cannot justify the costs of a full-time worker? If you are replacing staff, do you really need someone to work a 37-hour (or more) week? There is a large, skilled and often untapped workforce out there who could be an asset to your business. There are many reasons why people choose to work part-time. They may be carers, parents, students (we’re talking mature here as well as younger people), they may have a 2nd job, a health issue or a time-consuming hobby. There is also an ever-growing number of skilled workers approaching retirement age who would like to continue working beyond but not on a full-time basis… life’s too short! So what are the benefits of considering part-timers? Talent: you can often find skills and talents that you might not otherwise be able to find in the full-time talent pool. You have the potential to attract individuals to your business that you might not be able to take on for full time work. You get much more choice when it comes to recruiting. Consider hiring the best person for the job rather than the precise number of hours they spend at work – an experienced individual working 3 days a week can be capable of achieving more within that timescale than a poorly-performing full-timer. Flexibility: this is a key asset to your business with part-time staff. Use part-timers to cover the peak periods in the day/week. You’ll often find they are able to cover other people’s absences, such as sickness or holidays across the team. They can step up when business is busy, saving you using contractors or temps, and as your business grows, you may find that their circumstances change and they are able to increase their hours to support those changes. Money: there are cost savings to hiring a part-timer. Obviously, fewer hours equals lower wage bills. Consider other savings too, such as NI bills or pension contributions. Remember, just because they are part-time doesn’t mean you should pay them a lower rate than a full-timer. Fixed: The most obvious and probably most common is to employ someone on fewer hours per week than your standard hours. This is fairly straightforward to administer: the employee works the same hours every week, pay, holiday etc is adjusted pro rata to the number of hours actually worked. Job-sharing: If you really can’t get the job done without full-time hours, or have unusual shift patterns, then a job-share might be something to consider. It’s also useful if you have someone returning from maternity leave requesting fewer hours and you need to make up the difference to cover workloads. In a nutshell, you employ two people to cover one full-time role. They could be working 2.5 days per week each, morning/afternoons or be more creative and add in alternate weeks. Two heads are often better than one and can bring different ideas and approaches to the role. They are likely to be flexible and cover each other’s sickness and holiday, so you always have the role covered. If one person leaves, it also means you have the second person to cover work and help the replacement settle in. It is worth considering the ‘on costs’ of having two people instead of one and communication between the two is key – they have to get on! Term-time only working: this is more common in the public sector, especially education. However don’t rule it out as an option for your business. Term-time working consists of reducing hours or taking time off during the school holidays, so employees are paid for the 39 weeks of the year they are contracted to work. OK, I confess my bias on this as a term-time worker myself and appreciate it won’t work for all employers. However, if you’re running projects to set timescales, or even a sales campaign, schedule these in term-time and you might just land a talented individual you would have otherwise have missed out on. Besides do you really need to be paying people for thumb-twiddling over the summer or Christmas when your clients are all off on holiday? 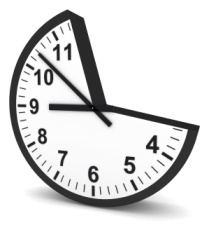 Compressed hours – working full-time hours but over fewer days of the week (longer days). 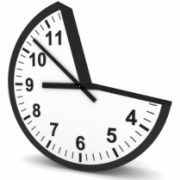 Flexitime – the employee chooses when to start and end work (within agreed limits) but works certain ‘core hours’, eg 10am to 4pm every day. Annualised hours – the employee has to work a certain number of hours over the year but they have some flexibility about when they work. There are sometimes ‘core hours’ which the employee regularly works each week, and they work the rest of their hours flexibly or when there’s extra demand at work. It’s important to keep an eye on the hours actually being worked in case things go off track – too many or too few. Zero hours – there are plenty of bad examples in the media, but used correctly these arrangements can benefit both sides. The key issue is for the employer and employee to understand what the work on offer is likely to be and whether that fits with the employee’s expectations too, so that people don’t feel exploited by having to wait to hear if there’s any work available. Working from home – useful for both full-time and part-time staff. You might find a full-timer could benefit from working 1 or 2 days a week from home, especially if it reduces distractions and gets work completed to a higher quality. Part-time employees have the same statutory employment rights as other employees. You do not have to work a minimum number of hours to qualify for employment rights. Employers should not discriminate between full-time and part-time workers over access to pension schemes. Other company benefits, eg company equipment (such as phones, tablets, laptops and cars), employee discounts and health insurance, should be given pro rata (scaled down) if possible. Part-time workers mustn’t be excluded from training and career development opportunities. Wherever possible, training must be organised at times that suits most workers and this includes part-time workers. Some employers give more than the statutory minimum amount of holiday. Under the regulations part-timers should be treated no less favourably. This normally means that a part-time worker will get a pro rata proportion of what the full-time workers get. Part-timers are entitled to the same paid leave arrangements (eg maternity, paternity and adoption leave and pay plus parental leave and sick pay) as full-time staff are. If companies give more than the statutory entitlement, part-timers must also get these contractual benefits. Communication is key: make sure your part-time people don’t miss out if you arrange meetings when they are not around and avoid having to wait for them to return to work and update you about something they’re involved with. “We can’t get local candidates” Working at home or everyone in an office?